I have been on a hunt for cheap but sturdy ballet barres to replace the adjustable single barre we've had at our studio for 20+ years. It no longer "adjusts" and just sits at the lowest setting. After hours of research on the web, I am deciding whether it's worth my time and effort to build my own, buy a kit or just bite the bullet and pay the shipping for a pre-assembled barre. After the jump are my research findings – hopefully saving you some time! 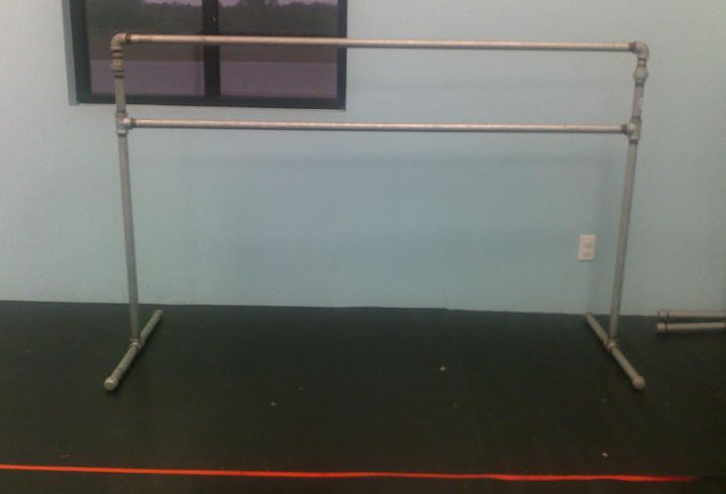 If you have any suggestions about ballet barres – chime in with a comment!